If you are having tax problems, a tax resolution firm should be able to assist you with the Internal Revenue Service. However, if you hire the wrong firm, you could spend thousands of dollars with no results. Finding the right service is important; here are some tips that will assist you with identifying the right firm. What is your success rate? – While past results often do not translate into future successes, this information will give you a good gauge of what you can expect from a company. How long has your company been in business? – While new companies are often eager to please clients, they often do not know what steps to take to get your tax issues resolved. Working with an established company is smart business. What is the background of your staff? – The more experience and training the staff of a company has, the more likely they will be to help you with your tax issues. What are your fees and how do you bill? – Make sure there is a clear understanding of how much the services will cost you and how you will be billed for those services. Be sure to verify the information that you collect through the Better Business Bureau or through the Federal Trade Commission whenever possible. Your state’s consumer protection bureau may also offer you some insight into the company. Demanding full payment up front – it is never a good practice to pay a company upfront for work they intend to do on your behalf. A reasonable retainer is fairly common but any company that demands upfront payment is probably not trustworthy. Avoiding a Face to Face Meeting– one thing we tell any potential client about hiring a tax problem resolution firm is that if you cannot sit down with them and have a face to face conversation in their office, don’t hire them. There are a ton of “1-800-NUMBER firms” out there that will take your money and never do work to help with your tax resolution issue. Failure to provide statistics – asking a company about their previous successes should produce answers. Any company that refuses to provide this information should be viewed with caution. Pressure to sign an agreement – one of the most important warning signs you should be aware of is a high-pressure sales pitch. Never let a company pressure you into signing an agreement until you have fully researched their history, the principals and their success rate. Because tax issues are extremely sensitive and often require a timely approach, at Rue & Associates we take our responsibility to our clients very seriously. 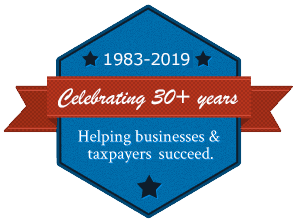 We have an experienced team of CPAs, tax attorneys and IRS Enrolled Agents who are prepared to help you with a whole range of tax solutions including Offers in Compromise, penalty abatement and release of wage garnishments. Contact us today at (804) 730-7455 or reach us via email by filing out our simple contact form. You can count on our expertise for all of your tax issues; we help both individuals and companies in the Richmond area.